The primary VA home loan eligibility factor is your service time. Active duty service members typically qualify after six months of service, while reservists and National Guard members have to wait six years; however, if reservists or National Guard members are called to active duty, they gain VA home loan eligibility after six months. During war periods, active duty, reservists, and National Guard gain eligibility after 90 days. In addition, the benefits can also extend to spouses. However, VA loan eligibility for spouses only extends to those whose spouses died while active duty or died as a result of service-related disability — and that’s only for spouses of veterans who have not remarried. If you meet the initial eligibility requirement, the other important factors are going to be more financially-based. Since veterans home loans are guaranteed, at least in part, by the VA, the eligibility requirements are less stringent than other loans. The loans themselves are made through private lenders, so they don’t necessarily need to match up to the requirements of a “conforming” conventional loan. Essentially, this means VA loan eligibility has more flexibility to work with veterans based on their needs. In terms of perks, the veterans home loan has some pretty comparatively great benefits. For example, where a conventional home loan has a minimum credit score requirement, VA loan benefits mean more broad availability specifically because there is no minimum credit score needed. Of course, the better your credit score, the better your interest rate is likely to be, but veterans home loans are designed to be more flexible. Another of the biggest benefits of veterans home loans speaks to a major concern for first-time home buyers in particular. 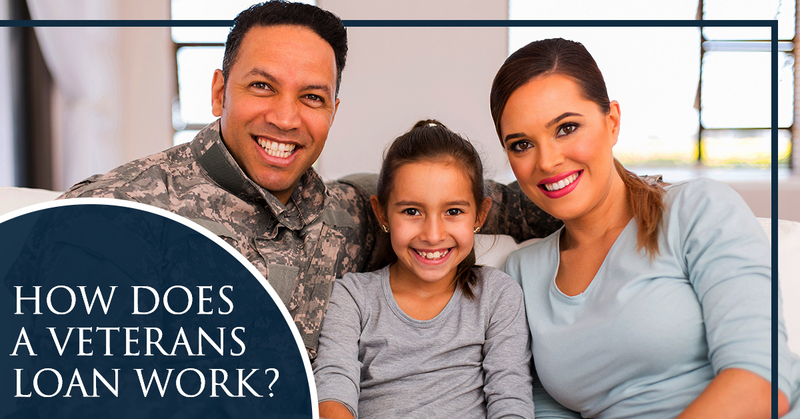 One of the biggest VA loan benefits is that there is no down payment minimum. In theory, you could be approved for a VA house loan with $500 to put down, or with nothing at all! However, the caveat to this is that, just like with raising your credit score, a larger down payment can help you get a better interest rate and keep your monthly payments lower. Also, there is a one-time funding fee that is affected by how much of a down payment you are able to put down. Going along with the low-to-no down payment requirement, another upside to veterans home loans is that they do not require mortgage insurance. Many types of mortgages require mortgage insurance if your down payment is below a given threshold. It’s a way to ensure that the lending institution is compensated in the event that a borrower defaults on their mortgage. It translates to a higher monthly payment for the borrower. Since one of the VA loan benefits is no mortgage insurance, that typically translates to lower monthly payments. Since there is no mortgage insurance, there is often a question of what happens if a borrower can’t make payments. Since the loan is guaranteed by the VA, they have trained staff designated to help negotiate with lenders on behalf of the borrower. They can help develop payment plans, work to modify loans, or find other measures to help prevent foreclosure. There are a wealth of different veterans home loans options out there, since they are offered through private lenders. Get help finding the right loan for you. Work with the Patriot Home Mortgage team to learn more and get started on financing your next home!